a Los Altos Community Foundation designated fund. The Halsey House is located at 482 University Avenue in what is now the City-owned 6.12-acre Redwood Grove Nature Preserve. It was constructed in 1923 for Theodore Vail Halsey and Emma Wright Halsey. In 1928, Theodore and Emma Halsey built an addition with a separate entrance for Emma's mother, Myra E. Wright. The U.S. Federal Census indicates that in 1930 the Halsey couple were residing on the property with their two children, Myra Eugenia and Theodore Vail Jr. 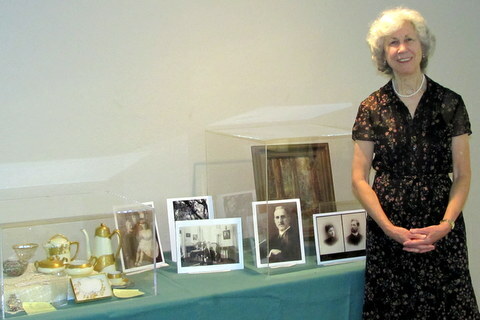 In 2001, an oral history was given to the Los Altos History Museum by Eugenia Halsey Buss, the Halseys' daughter Myra Eugenia, who dropped the name "Myra" after childhood. In her oral history, Eugenia explained that her mother (Emma Wright Halsey) found the location at the request of Emma's father (William Hanford Wright), who wanted a place to escape the foggy San Francisco weather. Emma's parents bought the Los Altos property in 1912 as a family summer retreat. At that time, there was a small cottage and just one redwood tree on the entire property. 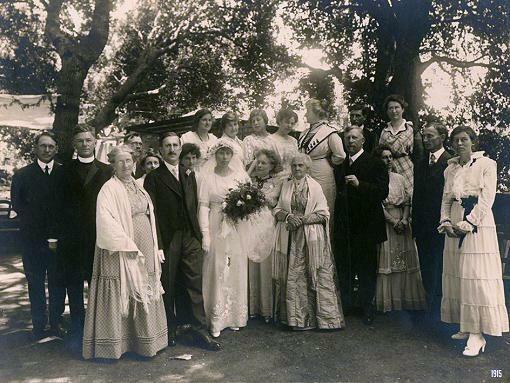 When Emma married Theodore Vail Halsey on the site in 1915, her parents gave it to them as a wedding gift. In 1923, Emma and Theodore Halsey built and moved into their new home in Los Altos with their two young children and tore down the cottage. Once settled in her new home, Emma, with the help of her Japanese gardener, Omori, planted a large flower garden. The willow trees along the creek had become diseased and were dying, which gave Emma an excuse to remove them and plant dozens of redwood trees transplanted from a property on Summit Road in the Santa Cruz mountains that had been settled in 1869 by Emma's paternal grandparents, the Rev. James Richards Wright and Sarah Vincent Wright and their children. In 1923, Emma's Aunt Clara and Uncle Eli, siblings of her father, were still living in the Wright family home on Summit Road. They gladly gave Emma permission to dig up as many redwood seedlings as she wanted from their property. Emma and Omori then dug up and transported truckloads of redwood seedlings from the Wright property to the Halsey property in Los Altos, with Emma driving the truck. Many of these redwood trees, now nearly 100 years old, still exist today within the protective bounds of Redwood Grove Nature Preserve and are a notable natural landmark within the City of Los Altos. 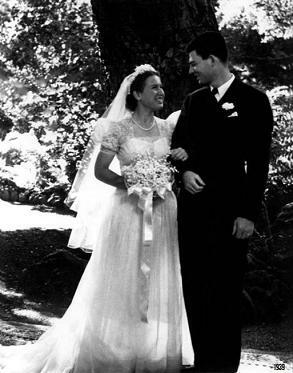 In 1939, the Halseys' daughter Eugenia married Robert Buss on the property. 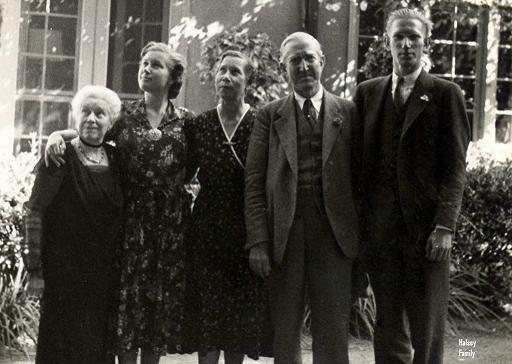 After Theodore V. Halsey Sr. died in 1943, Emma Halsey sold the property in 1945 to the Bessey family for $25,000. 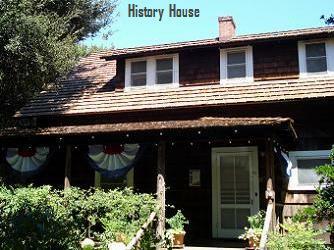 The Halsey House property was purchased by City of Los Altos in 1974 as a nature preserve and for recreation programs. 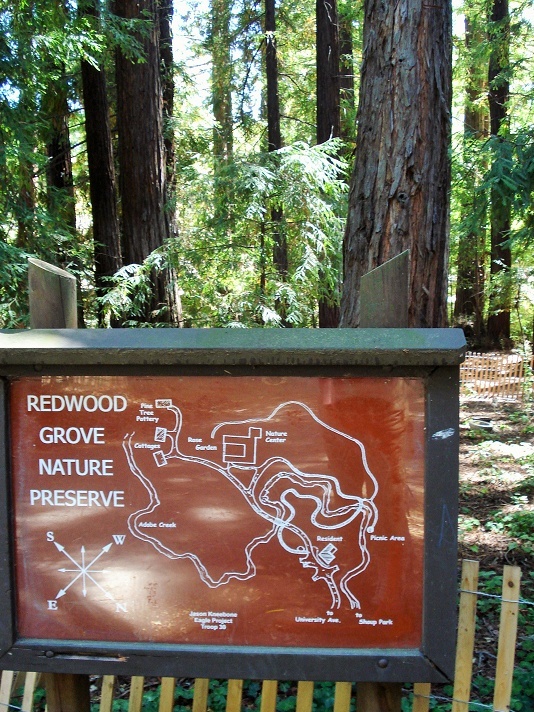 A Redwood Grove Master Plan was adopted in 1980 to "provide concepts and direction necessary to guide use and preservation" of Redwood Grove. The Halsey House was designated a local historic landmark by the Los Altos City Council on May 26, 1981 in Resolution 81-24, and is listed on the City of Los Altos Historic Resources Inventory (HRI). The small caretaker cottage that remains on the grounds is not historic and is currently being used by the City for staff offices and storage. Beginning in 2009, the City contracted with Acterra to restore Redwood Grove's ecosystem by removing invasive plants, planting native plants, and restoring eroded creek banks. In 2010, the City acquired a portion of land between Redwood Grove and Shoup Park for a public path along Adobe Creek connecting the two City parks. 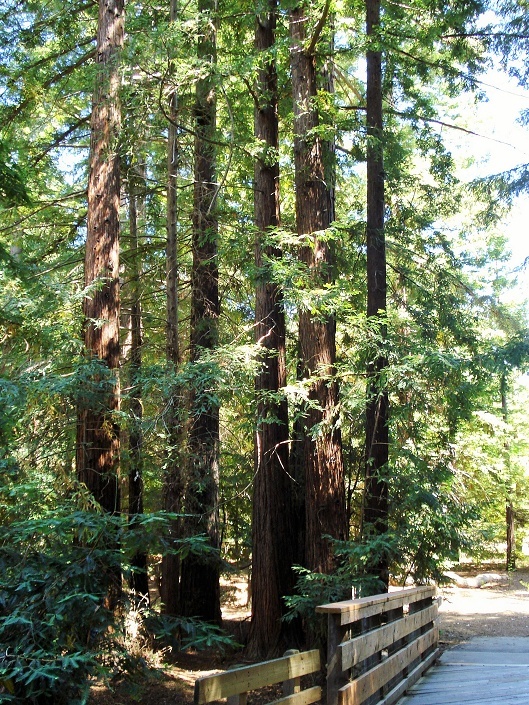 In 2014, the Los Altos City Council approved a Capital Improvement Project to invest approximately $750,000 on Redwood Grove's grounds, including replacing the boardwalk, bridge, and cement platforms. The Halsey House Nature Center at Redwood Grove has been closed for several years due to health and safety concerns. 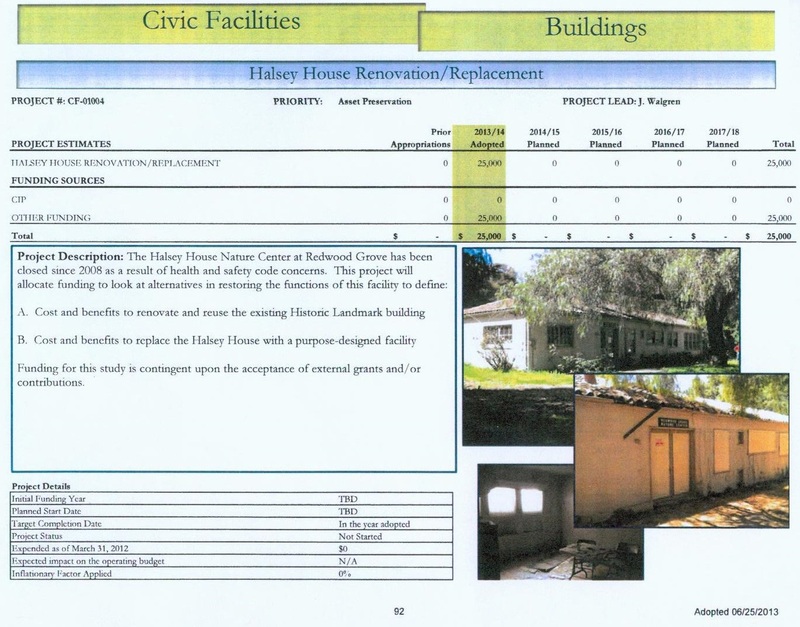 In June 2013, the Los Altos City Council adopted Capital Improvement Project #CF-01004 Halsey House Renovation/Replacement. This project evaluated alternatives in restoring the functions of this facility to define the cost and benefits to renovate and reuse the existing Historic Landmark building, as well as the cost and benefits to demolish the Halsey House and build a purpose-designed facility. Funding for this study was contingent upon the acceptance of external grants and/or contributions. In August 2014, an independent committee was formed to raise $25,000 to fund the CIP. In November 2014 the City issued a Request for Proposals (RFP), and in December 2014 selected M. Sandoval Architects, Inc., founded by former Los Altos Historical Commissioner Mark Sandoval. Sufficient private donations were received by April 2015 to initiate the evaluation, which was completed in October 2015. The Feasibility Study was reviewed by the Los Altos Historical Commission during their October 26, 2015 meeting. The Historical Commission unanimously recommended immediate implementation of measures to protect the Halsey House from further deterioration, as well as the renovation and adaptive reuse of the historic City landmark Halsey House for City Recreation programs and community use. The Feasibility Study and The Feasibility Study Attachment were then reviewed by the Los Altos Parks & Recreation Commission (PARC) during their November 18, 2015 meeting. PARC also recommended the renovation and adaptive reuse of the historic City landmark Halsey House for City Recreation programs and community use. In addition, the final motion included commissioner concerns regarding on-site parking, number of recreational programs offered, cost, funding sources and timeline, and site changes. City staff presented the Feasibility Study with comments provided by the Historical Commission and the Parks & Recreation Commission to the Los Altos City Council on December 8, 2015. Council requested a future study session to review additional options for the Halsey House, tentatively scheduled for May 2016. In addition, the City is reviewing proposals for a Citywide Facility Condition Assessment Project, which will include the Halsey House. 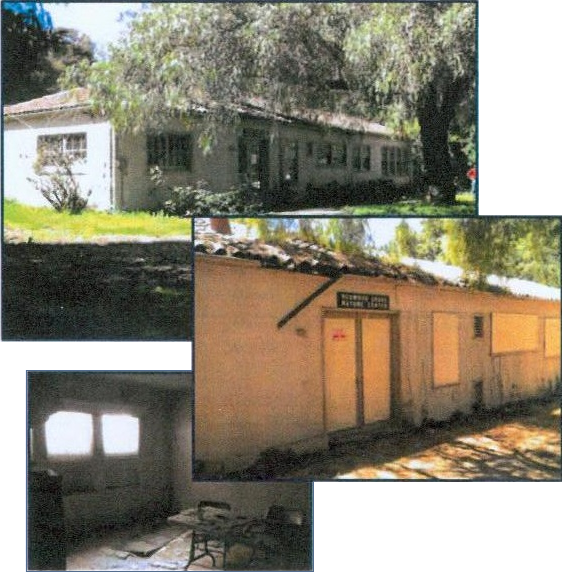 The Civic Facilities Condition Assessment is tentatively scheduled to be reviewed by the Los Altos City Council in the April-June 2016 and July-September 2016 quarters. Neutra House, one of three small cottages designed by internationally-renowned architect Richard Neutra in 1935 and built on Marvin Avenue in 1939. 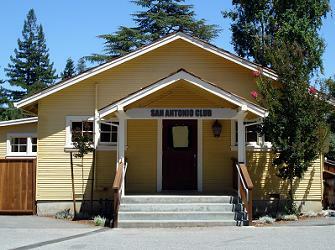 It was relocated to the Los Altos Civic Center and renovated for use as a conference and events center in 2008. 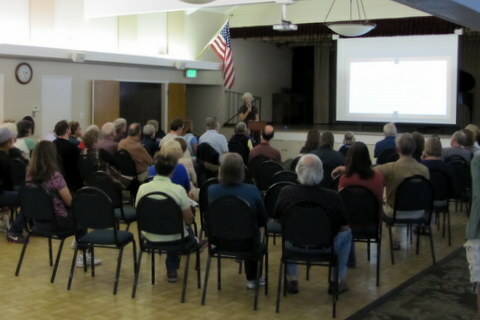 In February 2015, the Friends of Historic Redwood Grove hosted a free program (click here to view presentation) on Redwood Grove's historic Halsey House for the community to learn more about the current status of this City-owned landmark and plans to renovate it for City recreation programs and community use. Speakers included Katherine Halsey Buss, granddaughter of the Halseys who built their home and planted the redwoods in what is now Redwood Grove Nature Preserve. The event was well-attended and resulted in significant new contributions towards the $25,000 goal. Sufficient private donations were received by April 2015 to initiate the evaluation, which was completed in October 2015. "How the Halsey House and the redwood trees came to Redwood Grove"
narrated by Katherine Halsey Buss. The Friends of Historic Redwood Grove is a designated fund of the Los Altos Community Foundation, recognized by the IRS as a 501(c)(3) nonprofit charitable organization. All gifts are tax deductible to the fullest extent of the law. Los Altos Community Foundation's Federal Tax ID is 77-0273721. Please make checks payable to the Los Altos Community Foundation, designating "Friends of Historic Redwood Grove" in the memo line, and deliver to the Los Altos Community Foundation, 183 Hillview Avenue, Los Altos, CA 94022, Tel: 650-949-5908, Fax: 650-949-0807, Email: lacf@losaltoscf.org. Additional donations will be applied to the next phase of the Halsey House renovation. Q: Why did the evaluation of the alternatives specified in the Capital Improvement Project cost $25,000? That seems expensive. A: To meet the requirements of the approved Capital Improvement Project, the Scope of Services in the City's Request for Proposals document specified an extensive multi-phase evaluation process. Q: What happens now that the evaluation process is completed? 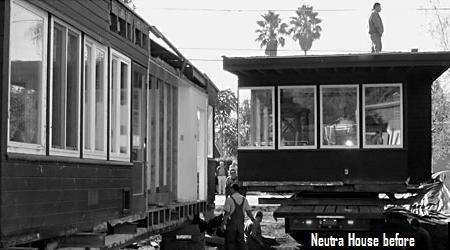 A: The Feasibility Study prepared by M. Sandoval Architects, Inc. concludes that the Halsey House can in fact be renovated and adaptively reused for City Recreation programs and community use. Q: What will it cost to renovate the Halsey House? A: The Feasibility Study prepared by M. Sandoval Architects, Inc. included an estimated cost of $3,495,587.34 for the renovation and adaptive reuse of the historic City landmark Halsey House (Design Scheme A). The Feasibility Study also estimated the cost of demolition of the Halsey House and construction of a new nature center of equivalent size at $4,328,602.71 (Design Scheme B) - $833,015.37 more than the cost to renovate the Halsey House. For perspective, in 2014 the Los Altos City Council approved a Capital Improvement Project to invest approximately $750,000 in Redwood Grove's grounds, including replacing the boardwalk, bridge, and cement platforms. There are a number of sources of funds for the renovation and adaptive reuse of the historic City landmark Halsey House, including City Park-in-Lieu funds, grants, and private contributions. For example, History House has been maintained through City funding as well as historic preservation grants. The San Antonio Club building was renovated using a combination of City funds and private contributions. 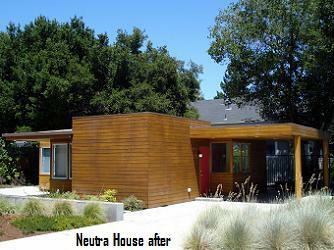 The Neutra House relocation and renovation has been funded primarily through private contributions and program revenue. The Los Altos History Museum building was funded entirely through private contributions; two significant donors, as well as numerous community members, made it happen. Q: Will the renovated Halsey House be ADA-compliant? A: Yes. Renovations to any City-owned facility, including the Halsey House, include compliance with ADA requirements. Q: There used to be a resident caretaker in Redwood Grove. Will there be another? A: Several years ago, the City of Los Altos discontinued its previous practice of providing housing in City-owned facilities in exchange for caretaking services. As with any City decision, the Los Altos City Council and City staff could decide to reinstitute this practice after careful consideration of the circumstances that led to its discontinuation. Q: What is the status of the caretaker cottage in Redwood Grove? 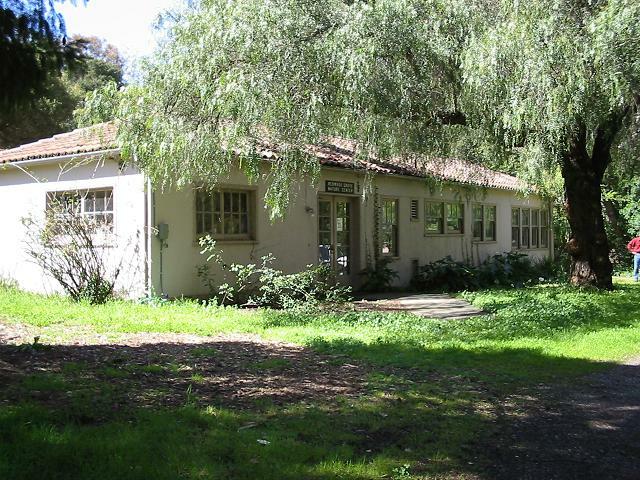 A: Unlike the City landmark Halsey House, the caretaker cottage is not listed on the Los Altos Historic Resources Inventory and therefore was not included in the Feasibility Study. It is currently being used by City staff for storage. Q: Why is the Halsey House in such disrepair? A: Over the past 40 years of City ownership, the City has relied on volunteers and resident caretakers to maintain the Halsey House. Unfortunately, this practice led to its current state of disrepair, and was recently discontinued. 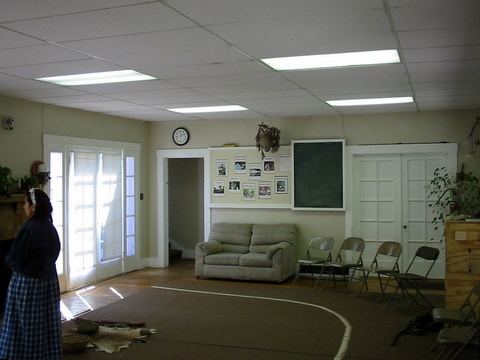 Once the Halsey House is renovated for City Recreation Department programs and community use, the City has the resources to maintain it in good repair. Q: Why not just tear it down? A: By resolution of the Los Altos City Council, the Halsey House is a designated local landmark listed on the City's Historic Resources Inventory. Demolishing such a structure requires a full Environmental Impact Report (EIR) and a recommendation by the Los Altos Historical Commission. The Friends of Historic Redwood Grove and many other supporters prefer to see this historic City-owned building renovated for City recreation programs and community use. Q: Why not just build a new structure? A: There are individuals and organizations who have and will continue to help raise funds to renovate the historic City landmark Halsey House. There is no such group to help fund a new structure, so the full cost would be borne by Los Altos taxpayers. 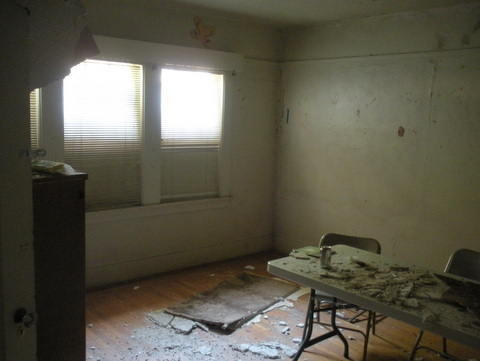 Q: Is there a way to reduce the cost of renovating the Halsey House? A: Yes. The CIP was written to include not just the Halsey House renovation but additional amenities like a parking lot in Redwood Grove and additional outbuildings. Eliminating the additional amenities would reduce the overall expense. Q: Is the City really planning to add parking in Redwood Grove? A: That is under consideration. At a minimum, ADA-compliant parking is required. However, there is parking at Shoup Park, now conveniently connected to Redwood Grove by a City-owned footpath, as well as on University Avenue, should the Los Altos City Council choose not to add parking in Redwood Grove. Copyright © 2015-2016 Friends of Historic Redwood Grove. All rights reserved.